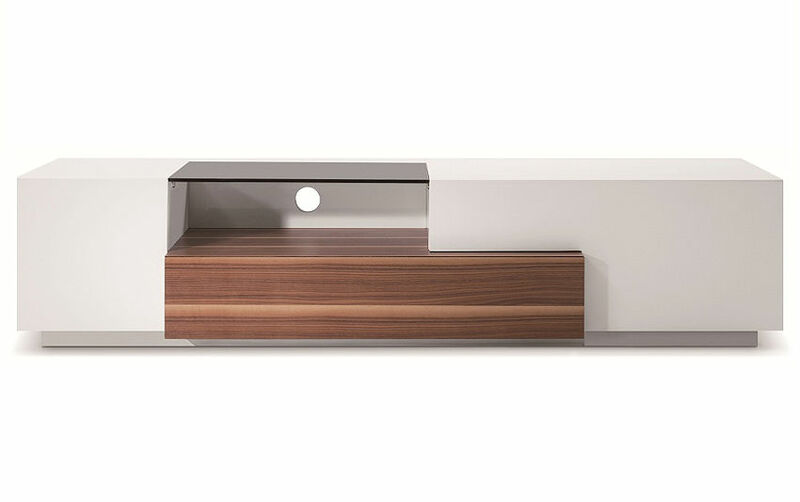 $ 950 - Model 015 TV Stand in the Light Walnut with Black High Gloss finish. Low height. Perfect for any kind of room setting. 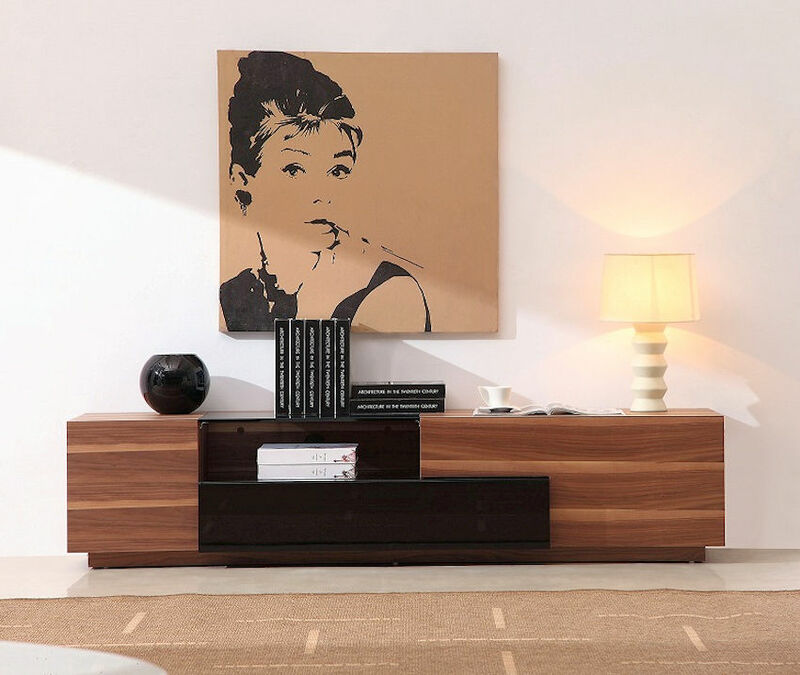 Also available in White High Gloss with Walnut finish. Spacious side compartments. Lower center drawer with soft-closing mechanism.